Following the huge success of past events at Alchemy Festival, Sonia Sabri Company returns with a jam - packed programme to coincide with its 10 year celebrations. 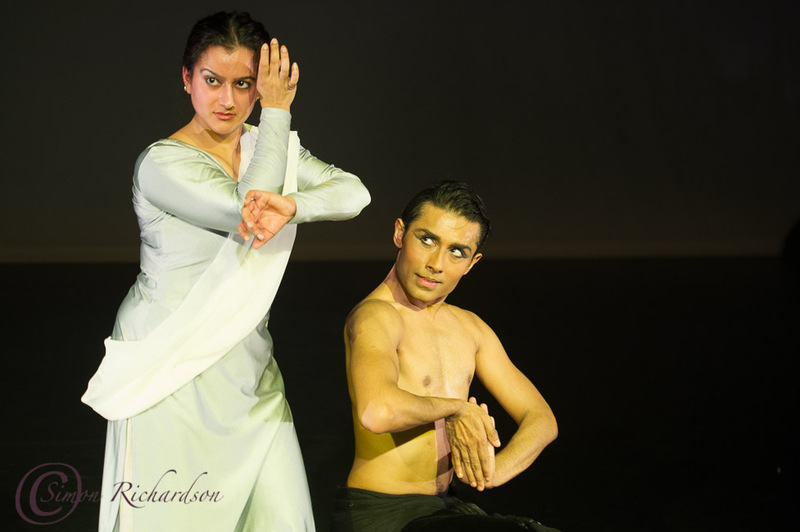 April 11th – 6pm-7pm: Clore Ballroom: interactive performance/lecture on Kathak, its popularity in the UK and Sonia Sabri Company’s unique style. FREE event. April 12th – 6.30pm-7.30pm: Blue Room: Jugni work-in-progress sharing for producers, funders, promoters. Poetic, dramatic and soul stirring, Jugni captures the spirit and stories of real women. This is an invite only event. For an invitation please contact parminder@ssco.org.uk. post-show discussion with Sonia Sabri and Donald Hutera, dance writer for the Times. Kaavish celebrates 10 years of Sonia Sabri Company and presents a mix of old and new. The first half traces the company's past, presenting three acclaimed works including the solo 'Neon Dream' choreographed by Shobana Jeyasingh. The second half is a specially commissioned new work, 'Labyrinth' - a collaboration between Sonia and acclaimed Bharatanatyam performer Ash Mukherjee. The show highlights dynamic live music arranged by Musical Director and Tabla maestro Sarvar Sabri. Kaavish is co-commissioned by Milapfest, Sampad and mac. Screening of 2D version of a 360 degree film originally produced by Dancing for the Games and Cultural Olympiad. Sonia’s Inspiration is the first ever Kathak dance solo film for a full dome format and has been presented at Birmingham’s ThinkTank Planetarium and as part of Dome fest 2012.